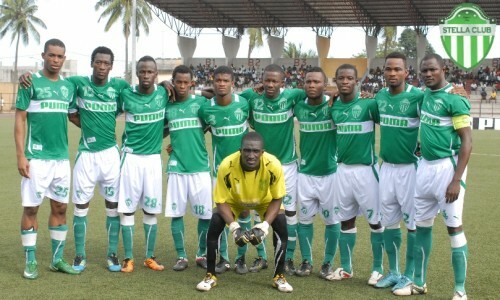 Stella Club d’Adjamé is currently number seven in the Ivorian Ligue 1 2012-2013. From my point of view, there are several interesting players at the club. In this post, I have presented some of them. The spreadsheet below shows player statistics after 18 matches of the current season. All players mentioned have played at least one league match, or been on the bench at least once, during the season. 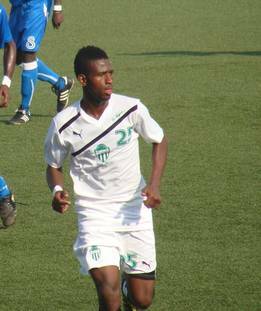 The picture is of enterprising attacker Lamine Diakité and was found on www.association-footballeurs-ivoiriens.org. Other players that deserves attention include Ghanian striker Daniel Akuffo, formerly of Simba SC(Tanzania), Hearts of Oak SC(Ghana) and New Edubiase United FC(Ghana), Nigerian striker Wasiu Nasiru Oyetunde, formerly of Zamfara United FC(Nigeria), wonderboy Franck Yannick Kessié, a key player at the Ivory Coast U-17 national football team, and team captain Lamine Sidibé.